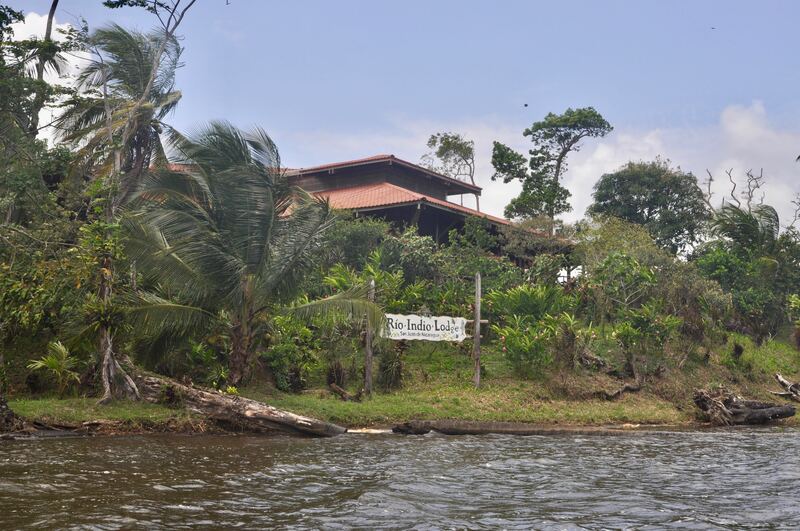 Just home from my latest trip to one of my all time favourite lodges the truly magnificent Rio Indio Lodge on Nicaragua’s Caribbean coastline, located just over the Coast Rican border near the village of San Juan Del Norte. 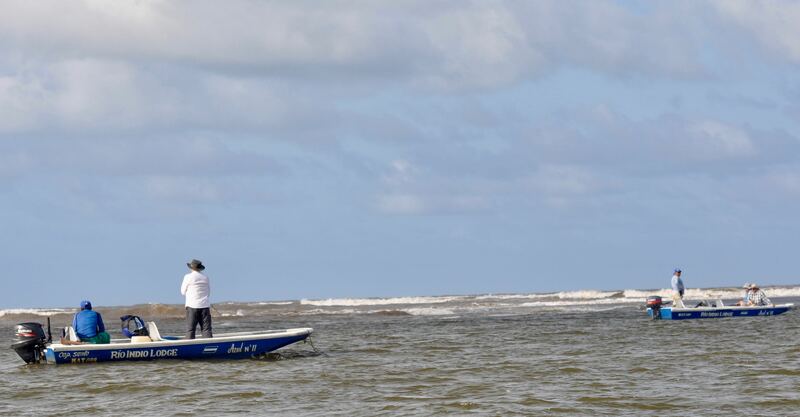 The trip had been planned with the intention of targeting the prolific spring run of tarpon along the open coastline, but unseasonably strong onshore winds throughout the entire week absolutely scuppered any chance of that preventing us from getting out to sea. Aside from a few tarpon briefly hooked on lures cast near the river mouth the first afternoon we arrived, as a tarpon trip this was an absolute bust. 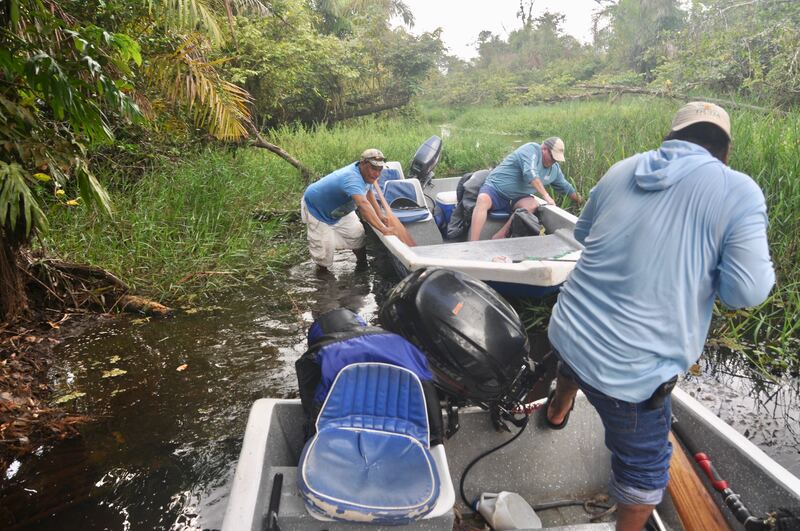 Thankfully we had a plan B, which provides exciting and productive fishing for snook, rainbow bass-aka guapote, and several other hard fighting species that readily hit lures amidst a rich tapestry of jungle rivers, creeks and lagoons. 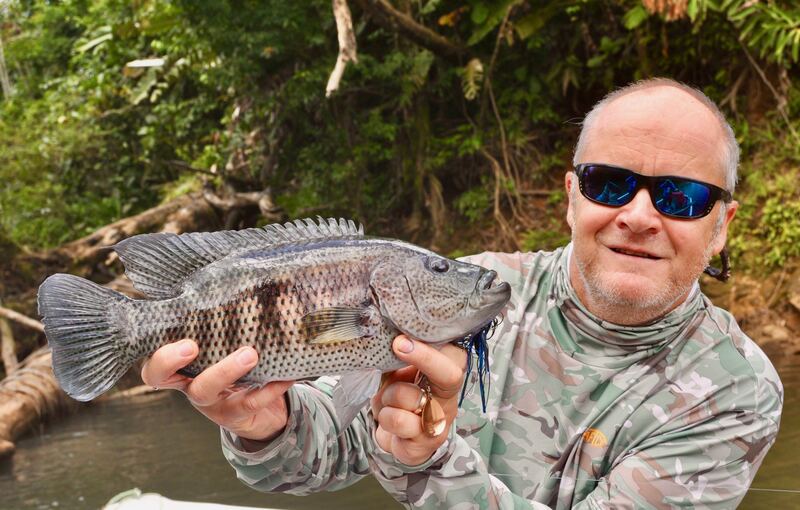 The dry season is one of the very best times for this type of fishing, and March is the end of the dry season. 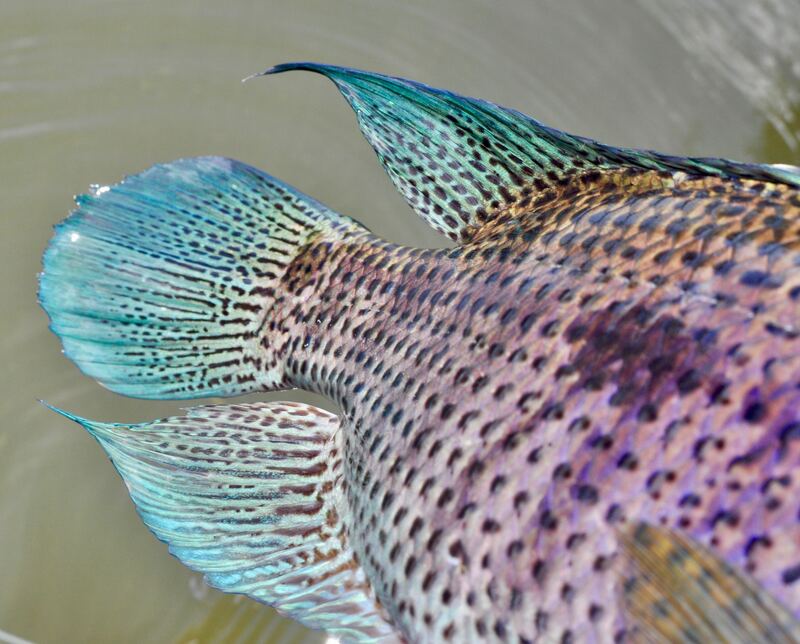 Look at the colours in that tail! 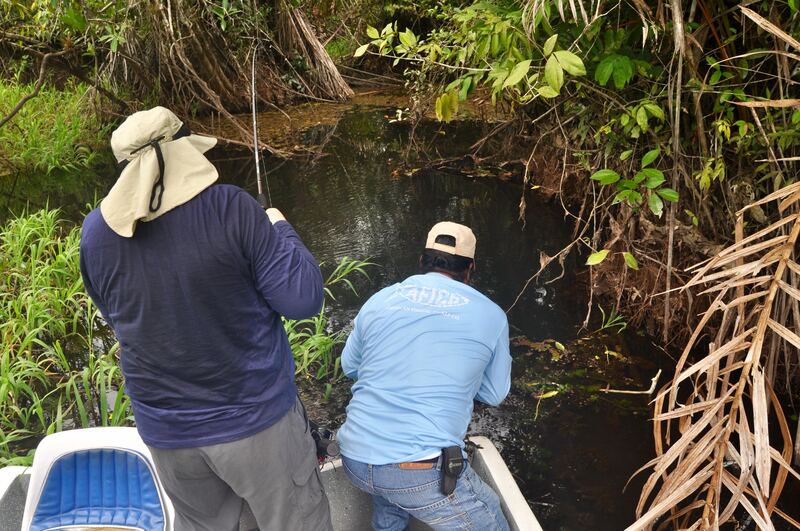 As productive as this style of fishing can be it relies heavily upon an anglers ability to be able to accurately cast a lure into the tightest spots, beneath and amidst the rich and invariably overhanging vegetation. 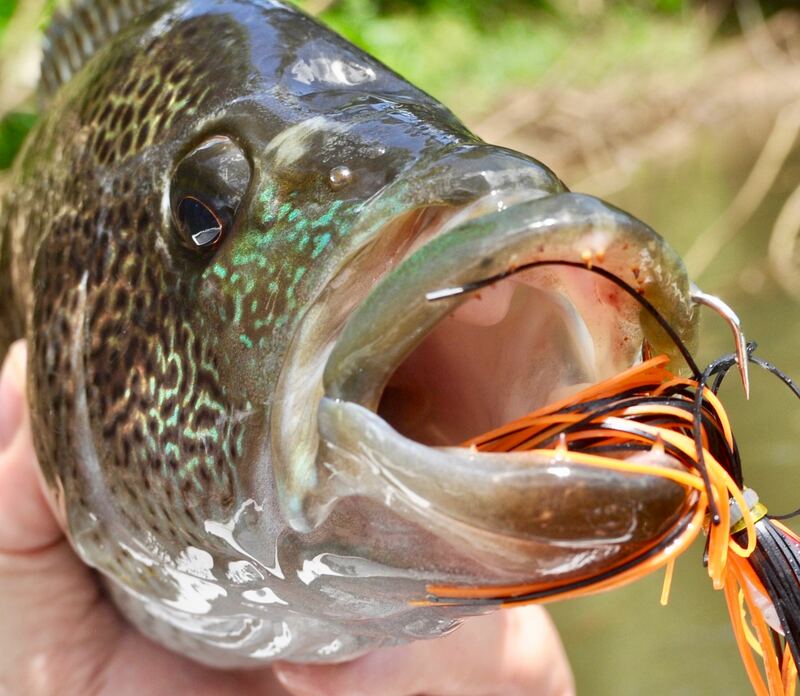 Next an angler has to be able effectively work a range of different types of lures in order to induce a fish to strike and finally, when a fish does hit your lure, an immediate set is essential! 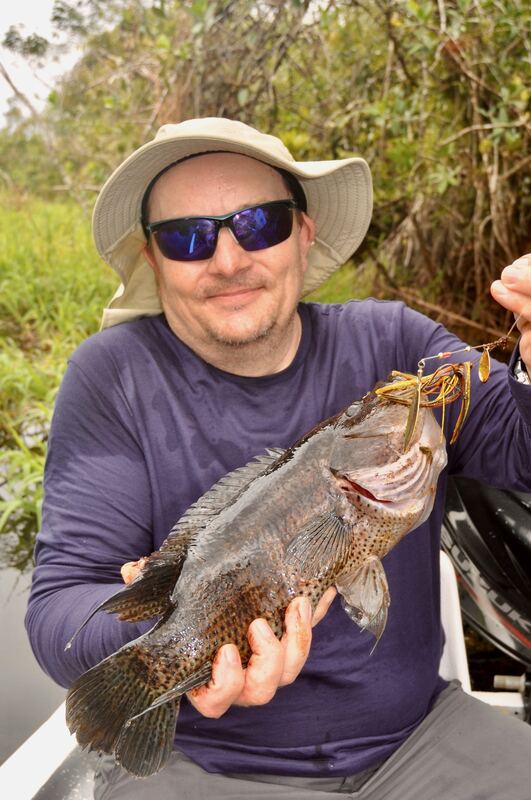 The final link in the chain of a successfully landed fish is a correctly set clutch, as you need to be able to instantly turn the fish’s head thus preventing it from snagging you in structure. 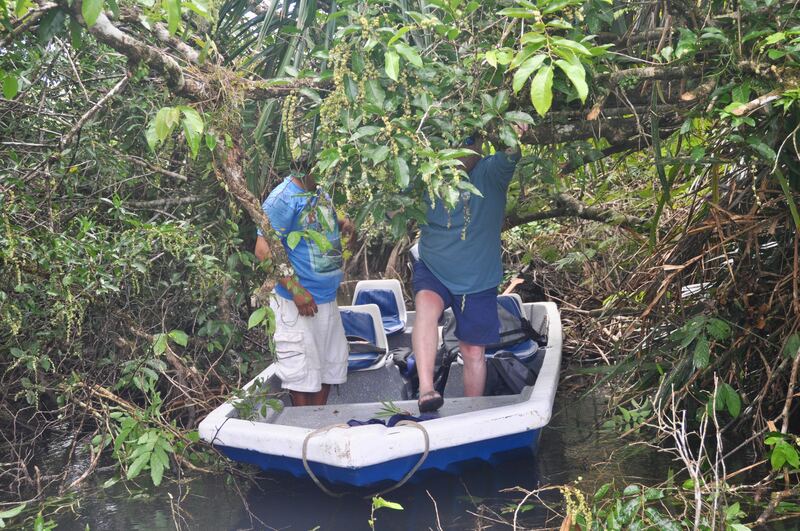 Most of the fish we targeted were found in the most awkward spots imaginable, it’s not pretty fishing! Accessing some areas had it’s issues! Team work was the key! 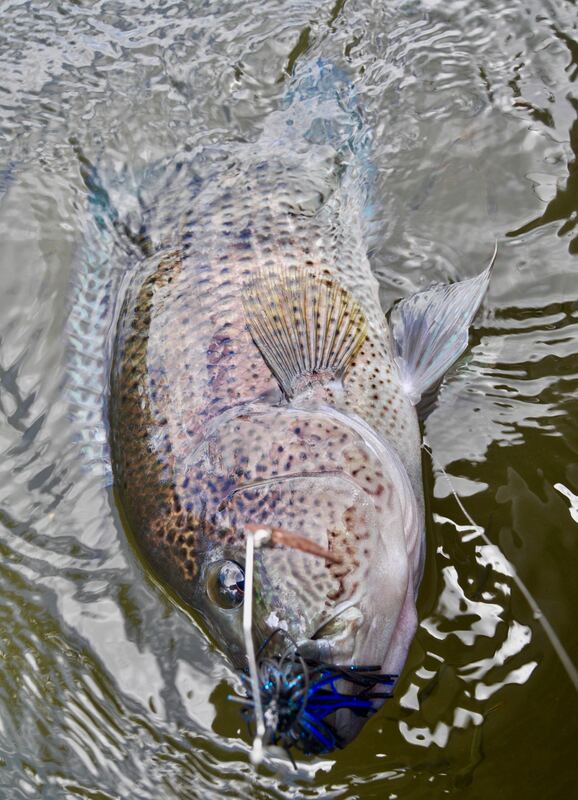 It’s not pretty fishing, and it’s certainly not for the faint hearted, but when you get it right it can be hugely productive. Most days several of our group tallied upwards of a dozen bass-the biggest fish weighing over 6lb, in addition to various other species. 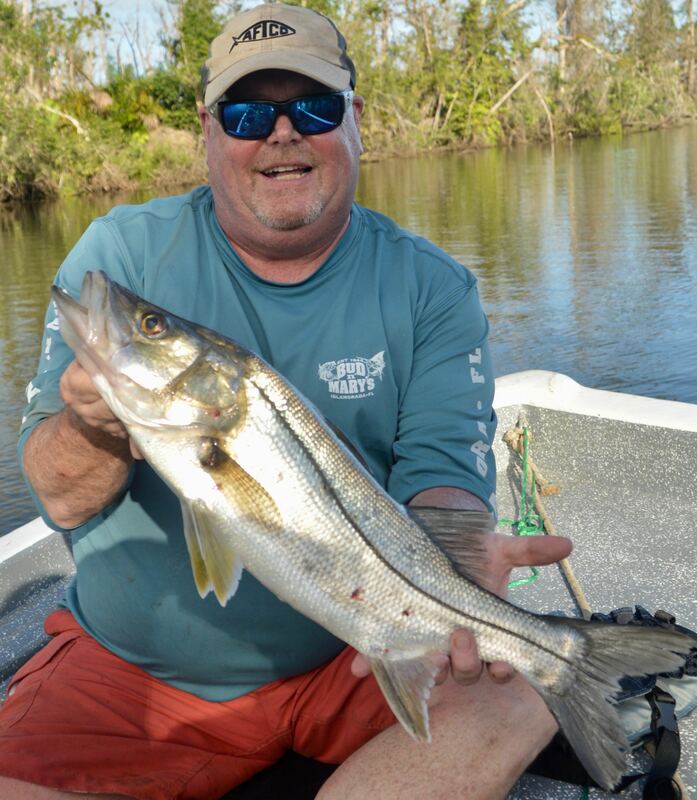 The snook fishing was very good, too, with boats recording several double digit days which included individual fish up to 10lb plus, caught by those anglers who set out to catch these fantastic sport fish. Best of all snook taste as good as they look, and most days were the star ingredient for our evening dinner fish course! 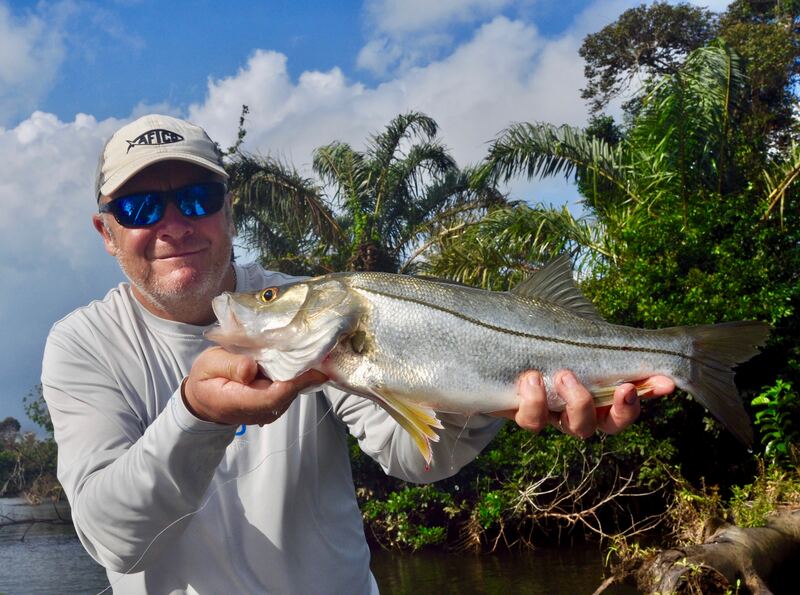 The snook fishing was productive, too! 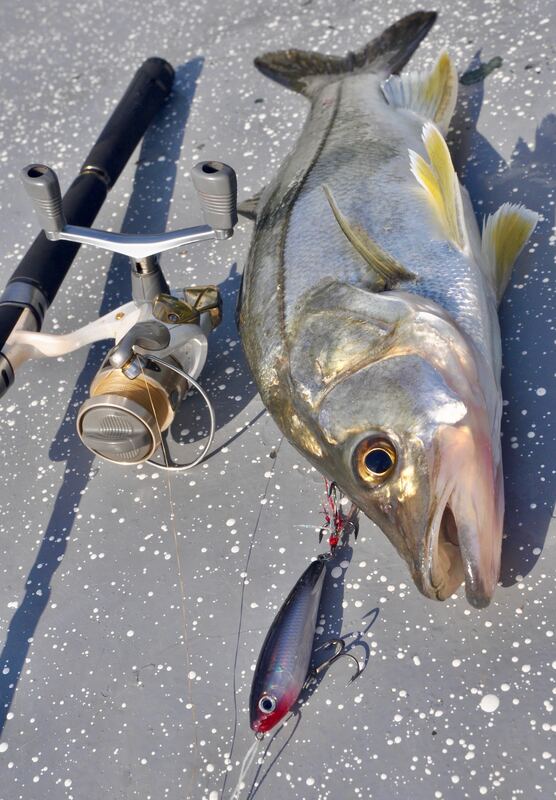 The Rapala X-Rap Subwalk is a deadly lure for snook, bass and many other species. Of course the wildlife throughout this pristine and utterly unspoiled corner of Central America was as spectacular as ever. 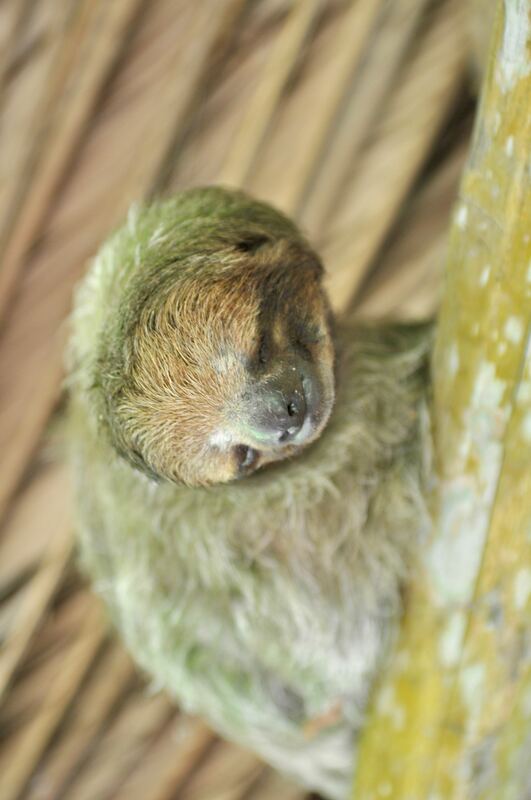 The lodge has several resident troops of white faced capuchin, spider and, of course, howler monkeys living around it, along with the one mammal everyone want’s to see wherever they are in Central America, the sloth. 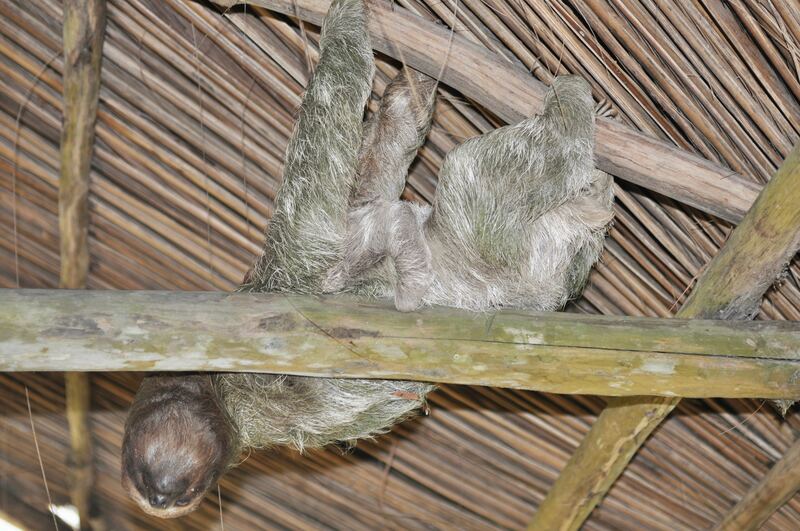 Rather than being a primate sloths are actually related to the anteater. Several huge resident crocodiles hang around the dock waiting for their daily feed of fish, while the birdlife is spectacular with daily sightings of green macaws, slaty tailed trogon, red rumped tanager and many, many more. 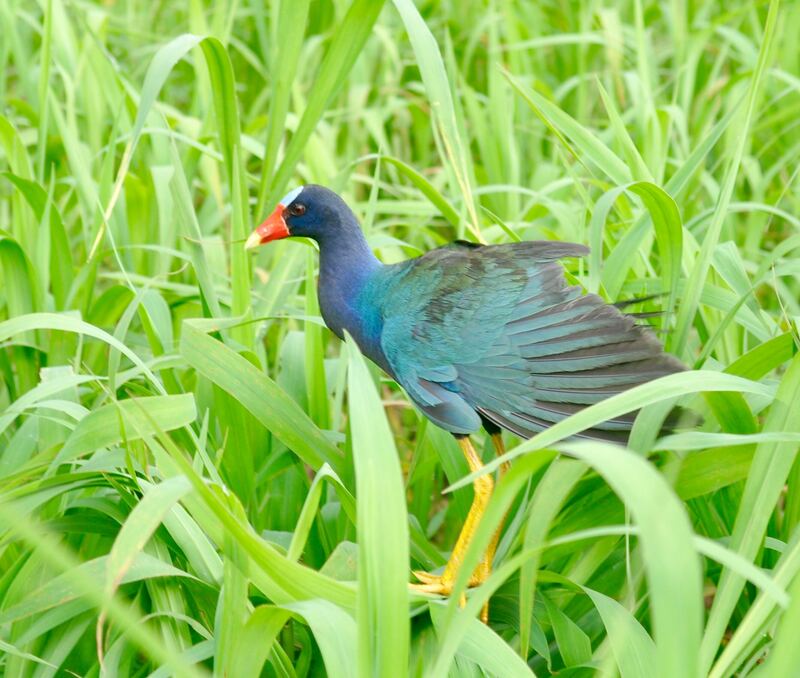 The lodge record is over 150 species of birds spotted in one day. Regardless of how many trips I make to the various beautiful countries throughout Central America, I never tire of watching a stunning blue morpha butterflies float by in the warm tropical air. Once again the food and service experienced at Rio Indio Lodge was second to none. If I have a complaint then it is that not only is the food too good, it is too damn plentiful! Throw in a complimentary rum bar and you have the makings for a great week in paradise. 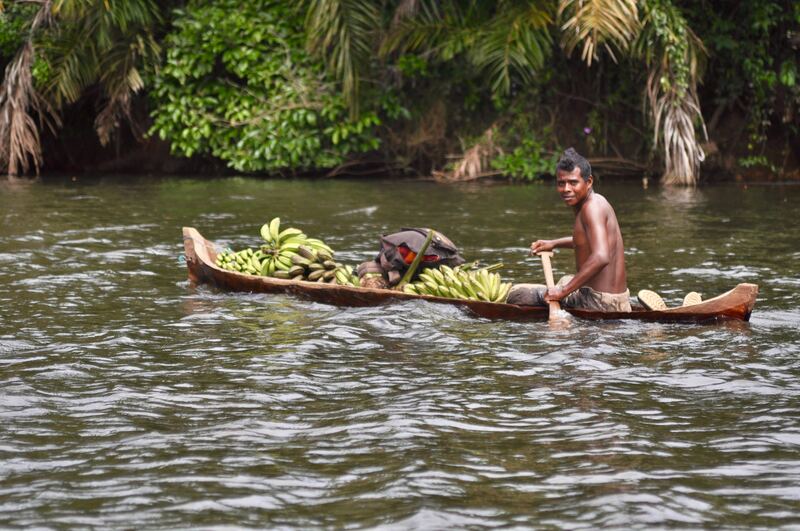 Throughout the entire week we never saw another tourist, and aside from one or two local water taxis, the only other boats we passed were dugout canoes. 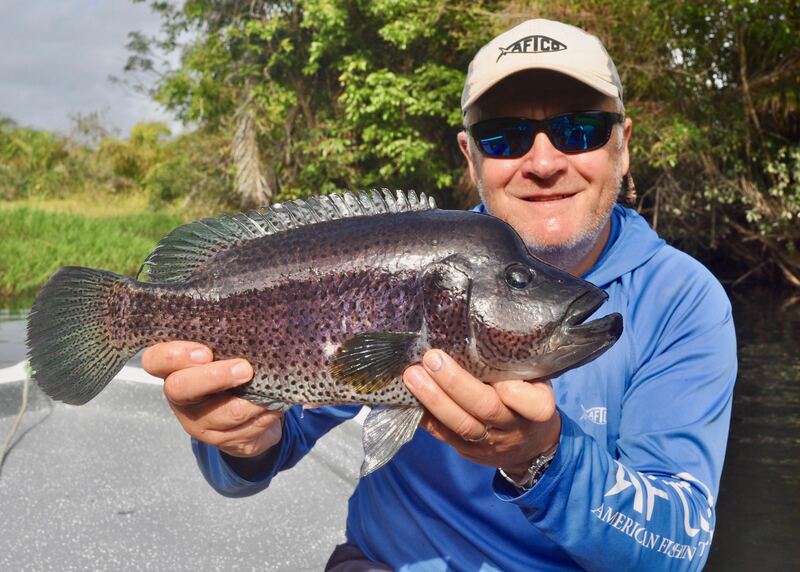 Certainly I can’t wait to go back and if you’d like to join me, or book your own private trip, contact Anglers World Holidays of Tel: 01246 221717. This entry was posted in Uncategorized by davelewisguide. Bookmark the permalink. Looks incredible, you cannot control the weather that was just tough luck, but love your photo of the baby Slouth !!!! !